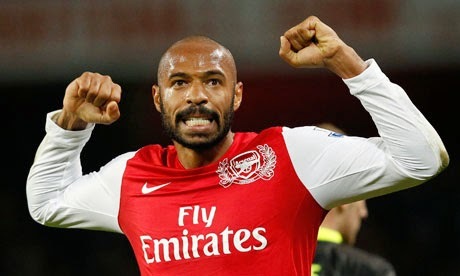 Thierry Henry has been one of the most iconic footballers of his generation. 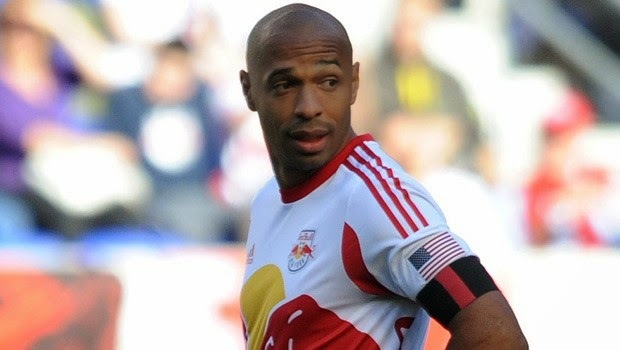 From his time with Arsenal to the trophies he won with Barcelona to a move to MLS to represent the NY Red Bulls, Henry has always been a recognizable name in the football world not only for his goals but for being a winner. He helped France win the World Cup in 1998 and the Euro in 2000 in what will be one of the golden generations of French football. He is currently the captain of the NY Red Bulls and his legacy in the game of football will live on with future generations. He is also a very well-spoken man outside of the field of play and that can be easily seen in the following ten quotes that I have put together. It is obvious in these quotes his desire to succeed and to always push himself to the limits. These are Thierry Henry top 10 quotes. Too Much Football Over the Holidays? What the Hell Happened to Freddy Adu? The FIFA Club World Cup: Does Anyone Really Care? Franck Ribery to Play in the MLS One Day? Could Brendan Rodgers Be Sacked By January? Player Struck By Lightning in Peru and Lives!